What happens if you live longer than planned? Will you run out of money in Retirement (what year will your money run out)? Reveal Tax Strategies you may be missing out on. 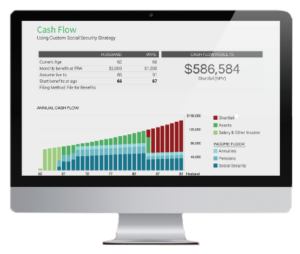 What an optimal social security strategy would do for your overall retirement. It can be difficult to make financial decisions without access to information. If you have questions or concerns about your cash flow analysis, feel free to contact us using the form below.